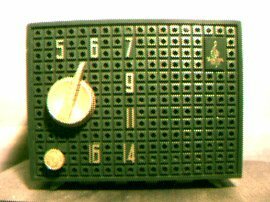 Dark brown. 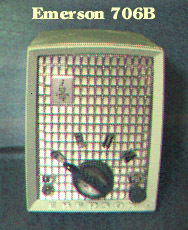 Cross eye 3D image. 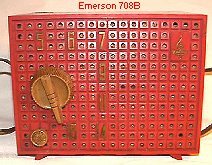 The 706, 708, 713 and 788 all use the same chassis. 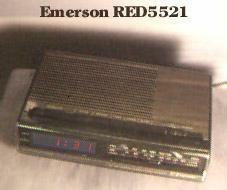 578A are directly connected to the powerline! 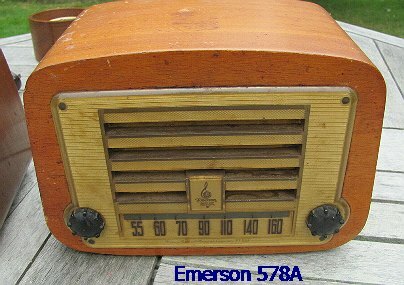 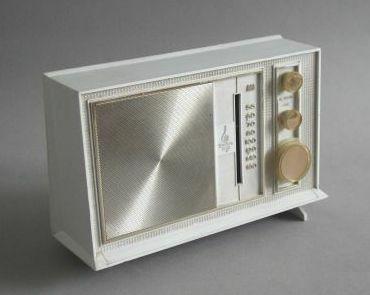 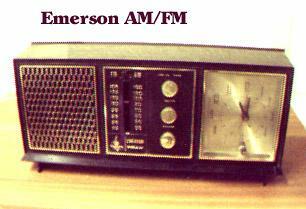 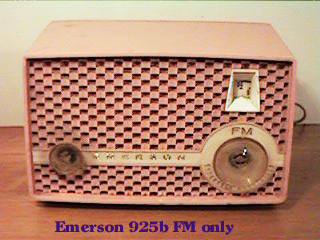 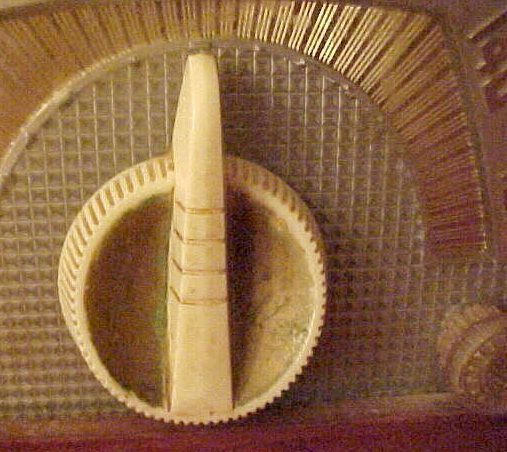 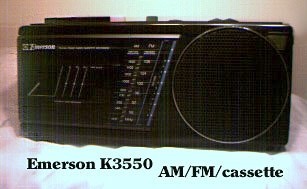 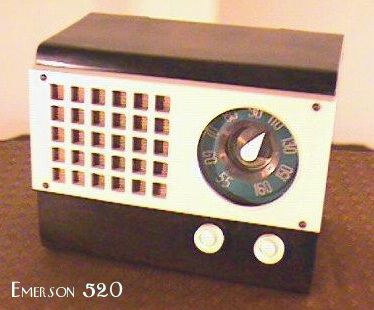 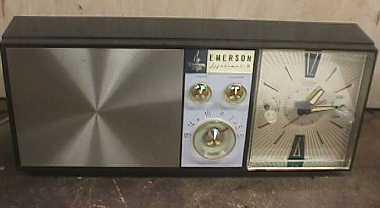 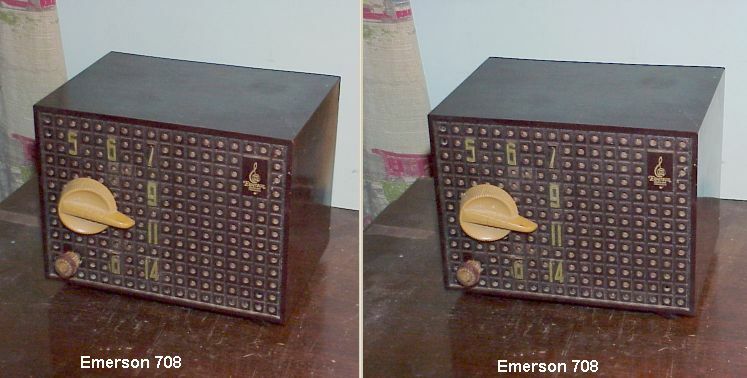 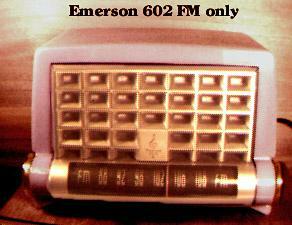 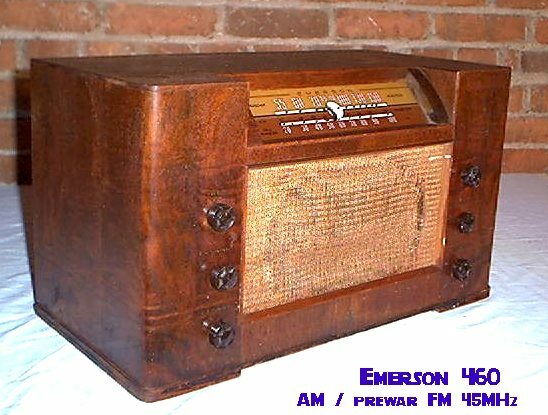 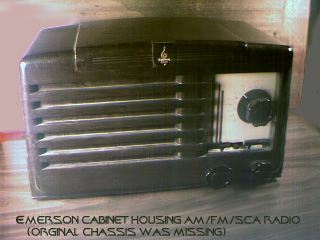 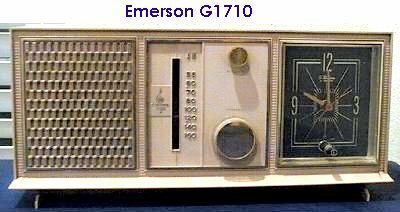 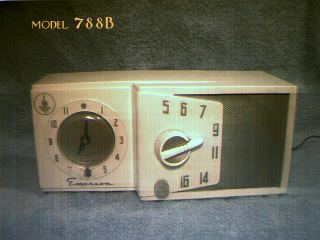 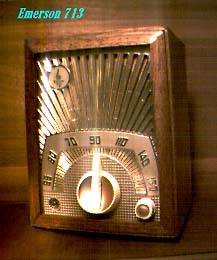 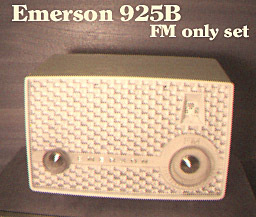 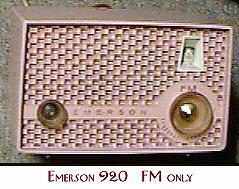 An AM/FM prewar set, this one by Emerson. 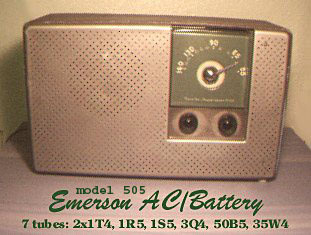 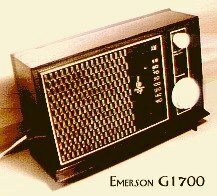 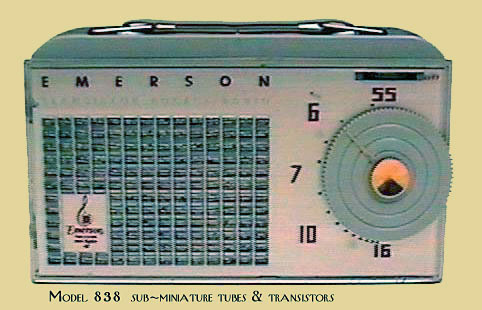 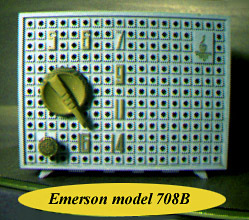 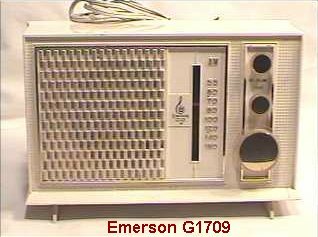 Except for the AM/FM set, all these below Emerson tube radios use the same circuit board. 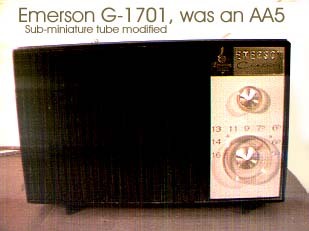 This board has the IF tube input biased to ground instead of the AVC line. 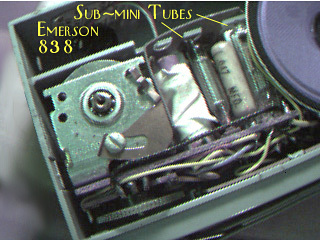 The 708s above, though a point to point wired chassis, did this too. 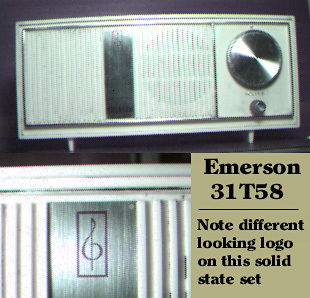 Thus there is no point in using a remote cutoff pentode (12BA6) for the IF stage as its gain is not varied. 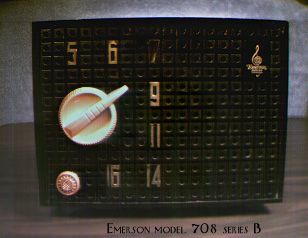 So I replaced the 12BA6s with some 12AU6s (sharp cutoff pentode) I had many of. 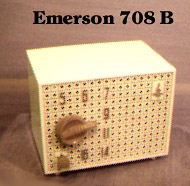 This reduces "modulation rise" distortion products in the amplified signal. 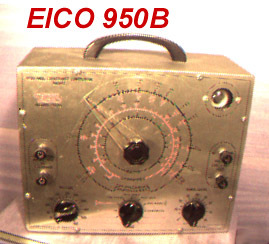 My father built this Eico HFT90 FM tuner back in the early 1960's. 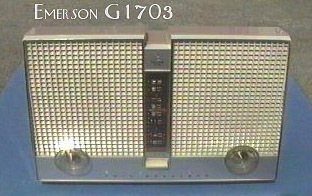 He mounted it in a 19 inch rack mount panel. 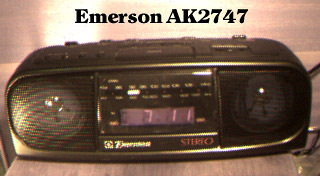 It was used everyday for about 35 years. 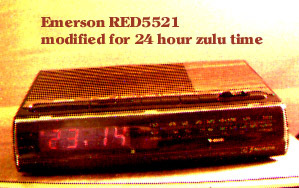 Retubed, still works!